First known Phish performance; Bobby Brown on harmonica. This show was performed at the Last Day Party on UVM’s Redstone campus. It marked Page’s debut with the band, as he sat in during portions of the third set. In fact, Big Leg Emma was preceded by an announcement from Trey that “our friend Page, from Goddard, will sit in later.” Bring it On Home featured Bobby Brown on harmonica and Whipping Post featured Jeff on vocals. McGrupp was dedicated to Fish. Makisupa featured a reggae jam. This show featured the only known Phish performances of Bring It On Home and The Other One. The circulating SBD of this show contains only Set 3 + Mike's -> Dave's from Set 1, but it is a worthy glimpse of the band when they were just minnows on the night sky. Mike's is slow and methodical, but tastefully explored. This laid-back approach pervades the entire performance, and I suspect this to be a mix of still-evolving chops and a deliberately deliberate approach. Trey has already mastered an array of guitar wizardry, but (for better or worse) the lightning precision and signature tones / riffs have not yet emerged. There is an extra bonus section at the end of Mike's - "Today is just a dream. Life is not what it seems" - sung in a way that evokes Torn & Frayed, over an airy instrumental piece that noodles into a typically chromatic DEG. Amusing banter from Trey ensues, during which he announces that they will be joined by a special guest from Goddard College: "Page on keyboards." McGrupp is a mellowed-out, lilting take on the familiar melody, punctuated by spoken-word vocals. Deft, natural transition into an upbeat reggae groove for Makisupa. Trey playfully introduces solo features by selected band members, dropping ample references to the pottabis, and Page plinks away in authentic minimalist reggae stylee. Around the 5-minute mark, there is a regrettably infectious diversion into a second section, with cliche lyrics about freeing weed, the rastaman, the world, and South Africa. Somehow this morphs into a surprisingly spry instrumental take on Run Like An Antelope. You've got the intro, and then the build, and then...a dramatic gearshift that morphs expertly into The Other One! This is extremely well-played. Not as rhythmically authoritative as the Dead's best versions, but the dynamics are spot-on and the closing jam peacefully tapers into some noodly tuning and an encore announcement. Anarchy clocks in at about 12 seconds, nearly as long as the most jammed-out versions that circulate. "See you next year," fellow college kiddos! This is not the tight, unique Phish monster that we have come to know and love. Still, it's a fun excursion backwards down the number line to a time when these guys were just playing good-time mellow grooves for their buds (double-entendre intended), getting to know each other and their craft. It's really cool to hear how Mike sings the early versions of "Mike's Song" it's obvious he doesn't have a lot of experience singing and he sings it with a little more ferocity than he does later on. I actually think Scarlet -> Eyes is actually quite good and the best thing I've heard yet from this era. The segue is also excellent they're obviously starting to figure it all out. Whipping Post has a nice very experimental jam with Mike all over it. Page is the most awkward he will ever sound which is very interesting to hear. The Other One is super rough during the verses but it has a nice little mellow jam at the end. Overall just another stepping stone. 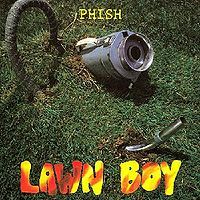 Boy I'll tell ya what, from the tape I've heard of this show, bringing Page in from Scarlett Begonias on seemed to immediately open up the band to the 'Phish' sound we now know so well. The 9:15 Mark of Scarlett Begonias is like the beginning of what we now know as Phish. Truly remarkable. For me, listening to this reminds me of the feeling you get when you're in the dark, having a hard time finding the right key for a lock and then the right key fits in and the door is opened. The mind goes 'BOOOOOOOOOOOM'. And here we have another embryonic release from Phish. Like the others I've rated, this is certainly worth listening to, and this one has wonderful sound to boot. The music here is starting to firm up a bit, and their playing is getting more interesting. Mike's (the earliest that I've found) is pretty much fully formed. It is slightly slower in tempo, and a tad clunky here and there, but basically this is the same song that we've all grown to know and love. The transition to DEG is smooth and DEG itself is very ethereal and eclectic. Just the way I like it! I could live without the anemic Scarlet B's and the downright sleepwalking Eyes... I love Phish, but their GD covers are not exactly their forte. The Whipping Post is pretty good and the segue to McGrupp is really wonderful. McGrupp, for me, is the highlight of the show. It is really compelling and constitutes one of the earliest "performance ready" songs I've found. Makisupa is filled with pseudo-reggae silliness. Lots of ad libbed words and just general nonsense. Of course, current Makisupa's are pretty silly too. Then they get all political on us jiving about rasta nation and South Africa. The song that I was most interested in hearing was Antelope. This is the earliest Antelope that I've had an opportunity to listen to, and it's one of my very favorite songs. The intro is more "chord based" (less noodling) than mature versions, and while the structure is there, the delivery is very loose and not yet well formed. The intro just kind of "falls" into the jam at about the 2.5 minute mark. This section too, is not yet mature. Most of the shifts are right, but it's really clunky and just kind of lopes (see what I did there) along. More interesting than compelling. At this point, I would not have identified this as the beast that I would worship at so many shows! Still, Trey's shred at the tail end is indicative that something good was happening here. The segue to The Other One is seamless and makes Antelope seem like an extended jam more than a standalone affair. As for The Other One, this is probably the best (or one of the best) Dead covers that I've heard from Phish. Unlike some of the heads, I'm not ashamed to love both the Dead and Phish, nor do I mind mixing the two in conversation. Occasions like this are a great reason why! 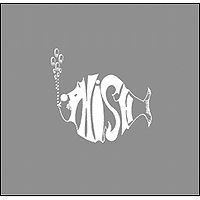 The show on phish.in has Set 1's Mike's Song > Dave's Energy Guide which is a great pairing to listen too. The first Mike's at least recorded, explores for a bit and the end of Dave's has them introducing a special guest from Goddard college that will be playing later named Page. Scarlet's Begonias > Eye's of the World doesn't stretch too far beyond the previous plays although they do have Page adding a new layer. He can be heard during Scarlet and throughout the set. The transitions from song to song are quite seamless as the fun Makisupa goes into an instrumental early take on Antelope and right into the first performance of The Other One. Interesting to listen to Trey's very early take on more Dead songs as his young mind doesn't know he will soon be in the Jerry role with the band. This show is memorable as Page's first and for a few debuts but not much more than that. Definitely listen to Mike's > DEG. There is something about Trey's playing in this era that I really dig when he starts to shred and he definitely shreds this Mike's. Similarly, Scarlet Begonias and Eyes of the World are great takes. All of the early 80's takes I've heard of these two covers are usually thoroughly enjoyable. The band has them really down pat. I was less enthused by the slow, frothy Whipping Post. McGrupp, however, is pretty great. Sure, Trey sort of recites the lyrics in a non-committal way, but the jam thereafter is pretty hot. This also marks Page's first appearance with the band so from a historical perspective it is a magical moment. Makisupa is its typical goofy self. The first recorded Antelope is interesting but not substantial. Not the same intense build of energy that the song will one day become. Nonetheless, interesting beginnings for antelope. This take on "The Other One" isn't that great IMO. It kind of peters out and meanders. Then of course there is Anarchy, which is just such an awesomely stupid song. I sincerely hope Phish will bust this crazy gem out again one day.